Gene’s posts about role-playing games, mostly tabletop, but also including some computer games. 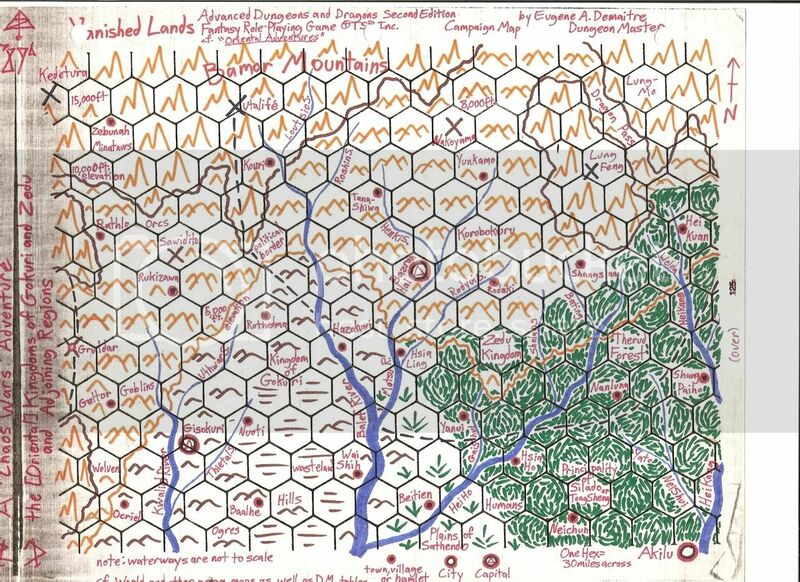 After persuading King Obould to withdraw some of the Orcish armies attacking the Dwarves of Thorbardin, the adventuring party had explored the ruined Irda (High Ogre) city of Vantal. It then defeated a Drider, an arachnoid servant of Lolth, before meeting with Dwarves on giant owls and Elves on great eagles. The diplomats and scouts fly back toward the Kharolis Mountains. On the Plains of Dust, they see some of the hordes of Orcs returning to their homeland. 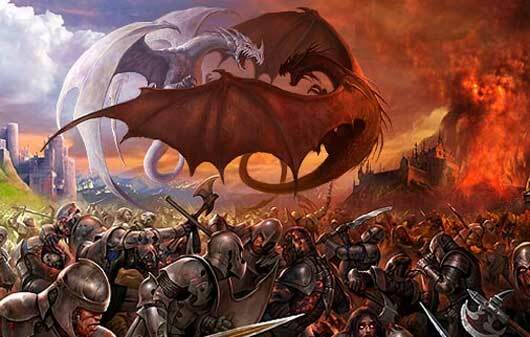 However, Drow, giants, Driders, and even dragons have joined the siege. 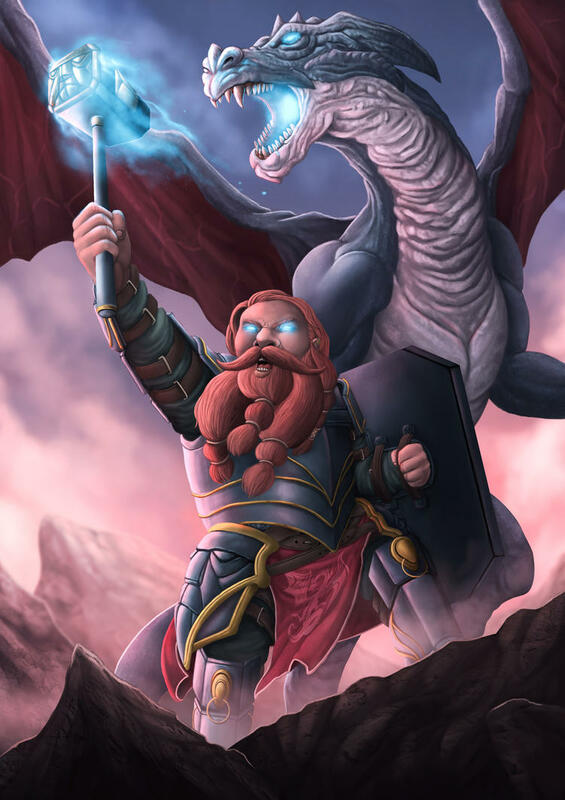 Perogen and Rowan note that some of the chromatic and even metallic dragons are fighting among themselves, so they hang back as their companions head straight for Thorbardin. 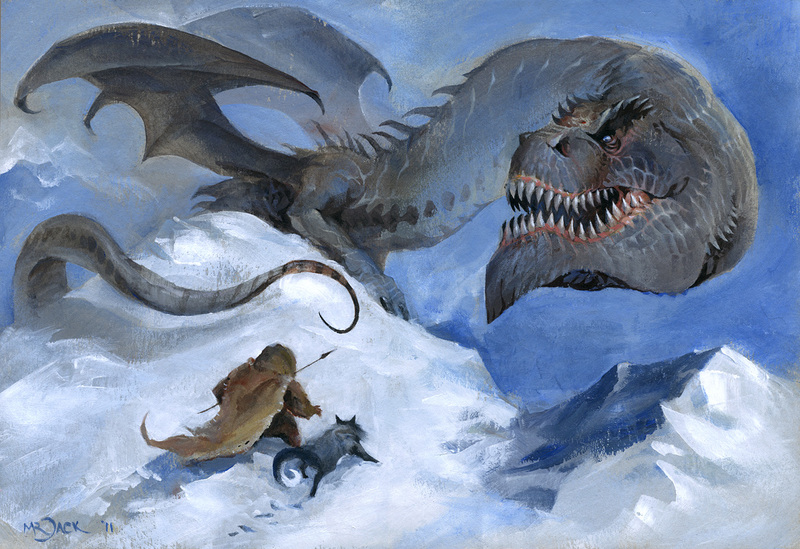 Perogen and Rowan also see Clerics of Takhisis riding black, blue, and white dragons. The ancient gold thanks them by breathing a Blessing on them and then flies off to fight a young red dragon. Meanwhile, Sam and Maddie maneuver to assess the tactics around the siege of Thorbardin. 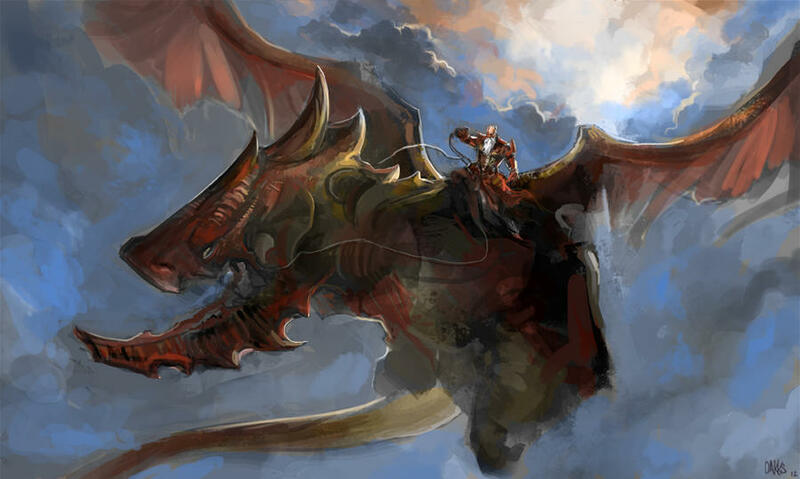 They see aerial cavalry consisting of Dwarves riding metallic dragons. Cal, Redrik, and Santiddio land within the city’s battlements and are greeted by Shadowfox. They notice that the chief scout is acting strangely, so Cal casts Protection From Evil. The others regroup, and Rowan joins with a Countersong.Shadowfox is angry to realize that Dark Elf prisoner Meandrea has tampered with his mind. 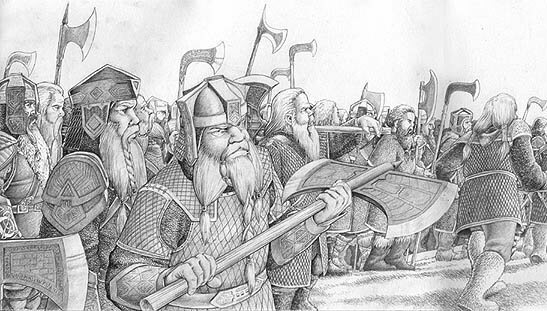 Cal, Redrik, and Rowan go with him to report to King Ivor Stoneaxe as planned. Sam, Maddie, Santiddio, and Perogen head with two elite Dwarven scouts to the dungeon. They find the guards there similarly ensorcelled and all the cell doors open. Meandrea says she has been waiting for them. Perogen casts Fireball, but the Drow deflects his spell. Rogue Santiddio draws his rapier and dagger but swings wide, and Barbarian Maddie rages and strikes the Sorceress. Meandrea casts, but Perogen counters. The infiltrator then poisons Maddie. Ranger Sam and his snow leopard Minerva both miss, as does Santiddio again. Maddie falls unconscious, and Meandrea summons a diabolical winged figure with a flaming whip. She taunts the would-be heroes, telling them to run. The male Erinyes strikes Sam with a whip of Entanglement, and Perogen uses Expeditious Retreat to go warn the others. Santiddio drags Maddie out of the chamber, as Sam provides cover, leaving four explosive arrows wedged in the floor. Santiddio slashes at the whip holding Sam. Rowan gives an Inspiring Word to the Ranger and casts Heroism on himself, Sam, and Cal. The infernal Erinyes uses his whip to burn Sam, who manages to break free. Cleric Redrik revives Maddie, who swings her axe at the Erinyes, misses, and again rages. Meandrea chants and opens a portal to the nether planes. 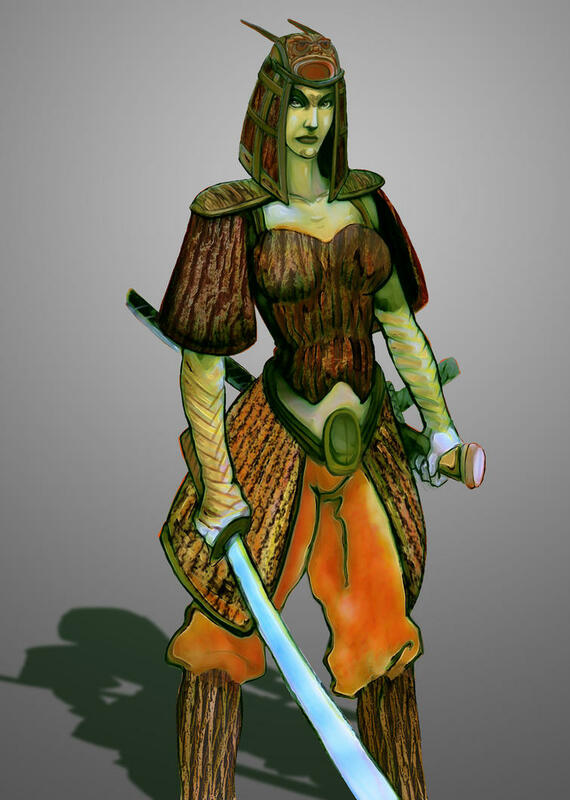 She also turns the prisoners slain by Perogen’s Fireball and the fallen guards into zombies. Seven zombies fight the remaining Dwarven sentries, and five collapse, thanks to invisible faerie dragon Itchum. Perogen yells to the Dwarves to fall back, but his Frostbite fails to affect the Erinyes or the Drow. Paladin Cal casts Sanctuary on Sam. Cleric Redrik attends to Sam’s wounds as the Dwarves draw Holy Avengers and close on the Erinyes. Half-Elf Santiddio hits the monster twice before disengaging to draw his bow. Fellow Half-Elf Rowan draws his sword and casts Sound Burst, destroying eight zombies. Sam throws a net at the Erinyes, briefly entangling him. Feline Minerva pounces on the Dark Elf but misses her. Canine plainswoman Maddie strikes the Erinyes but misses Meandrea, who heals the devil and wounds Cal. Perogen runs around the melee and takes control of some of the zombies. He commands the Undead to drag the Drow out of the room. Sylvan Elf Cal invokes his patron Kiri-Jolith, god of valor, as he Channels Divinity and smites Meandrea. She cuts him with a poisoned blade. Santiddio shoots arrows, misses, and maneuvers. Rowan gives Santiddio an Inspiring Word and aids Maddie against the Erinyes. The Erinyes gets free from Sam’s net and hits Rowan. Sam asks Redrik to borrow his crossbow and fires at the witch. Maddie also lands a heavy blow. Meandrea uses Mass Suggest to get Redrik, Maddie, and Perogen to drop their weapons. She also hides behind three Mirror Images. Perogen lobs Magic Missiles to deal with them, plus Chill Touch, and Cal manages to hit his foe despite being weakened by poison. Redrik hurls a vial of the Light of Paladine at the gate, ending Meandrea’s summoning. 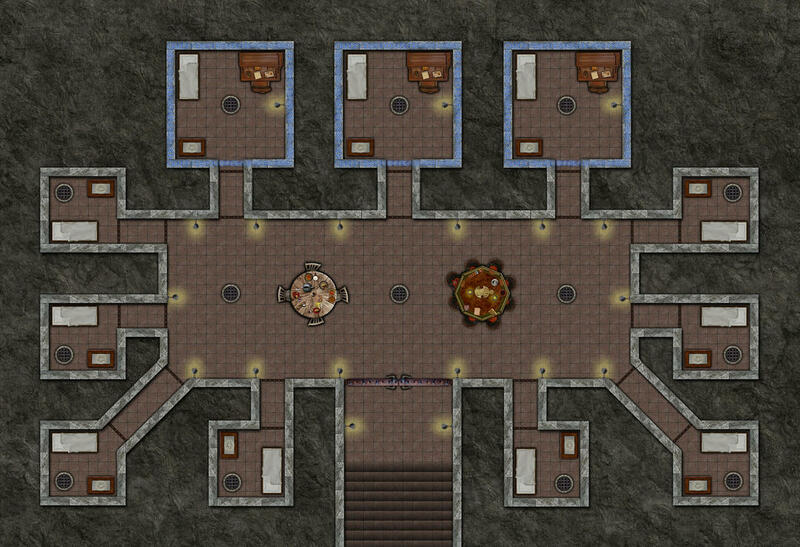 The Dwarven guards hit the Erinyes, as Santiddio notices glyphs and a circle etched into the walls and floor of the Drow’s cell. Rowan casts Healing Word on himself and grabs Maddie’s dropped axe. The bleeding but lawful Erinyes yields to the Dwarves and complies with their order to leave the plane. Meandrea swings her Mace of Contagion, but Perogen casts Blindness on her as he notes that her minions are dwindling since he controls the remaining zombies. Cal Lay on Hands to keep himself in the fight, and Redrik heals Santiddio. Cal finishes off Meandrea with swift sword strikes, but she says, “Death is not the end.” Redrik pours the Tears of Paladine on her oozing wounds. Perogen identifies the dead Drow’s explosive runes and summoning circle, and Rowan casts Dispel and Shatter to disable them. The Dark Elf and zombies dissolve, and the Dwarves take her mace and their wounded. 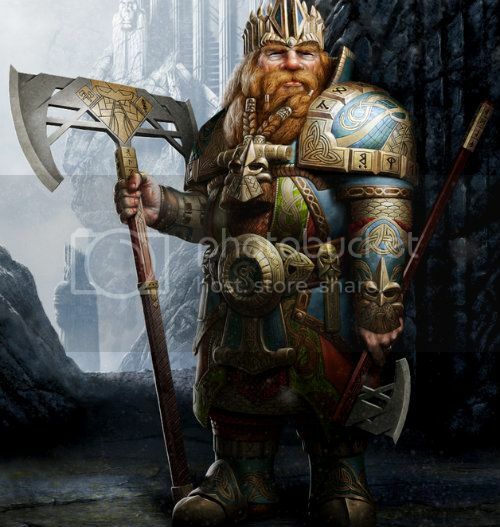 King Ivor later thanks the heroes for helping to stop an attack from within Thorbardin’s stout stone walls. However, Cal and company are worried when they learn that the Elves of Qualinost are also under attack…. Posted on June 4, 2015 February 16, 2016 by GeneD5Posted in Fantasy & Steampunk, GamesTagged D&D5e, Dragonlance, Forgotten Realms, Land of Lost Souls, Palladium Fantasy, RPGs, telecom team, update. “20 to 22 May 1227 B.C.E. 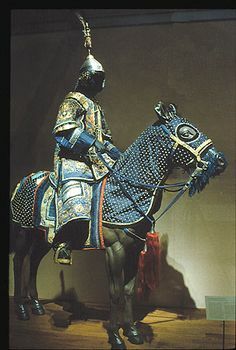 :” Zu Ji, the rogue Shang crown prince, Teleported to Gokuri with some court wizards and guards, leaving Lady Yun Aei-Yong and her retinue to face Lady Fu Hao and her army. The emperor’s favored concubine angrily dismissed the Nannuattan emissary. The adventurers promised to report on their progress in finding the sources of chaos in the countryside in return for the peaceful restoration of Duke Kou Fei Seng in Sogewa. They continue riding north across the eastern Plains of Sathendo to the demihuman Zedu kingdom. Jung-Mo continues courting Ember, while Sonny is vindicated in his distrust of Lady Yun. Toshi and Saigo are eager to return to Bazran Hai, capital of their homeland. Soske’ recommends heading northwest, skirting the Therud Forest, rather than following the more heavily traveled Hei Kang River north toward Akilu. The diplomatic escorts take a road along the Chung Hsien Stream toward the village of Yao Shun. They pass farms, rolling grasslands, and occasional copses of wind-swept trees. The caravan enjoys the pleasant late-spring weather. Shengtese human Soske’ and Hengeyokai Ember find a campsite for the night. Shengtese Giacomo and Bamboo Spirit Folk Saigo practice their weapons skills and start a fire. Shan Sao Toshi lets his new tiger steed Amaya go hunting. Spirit Folk Jung-Mo keeps a close watch on the carriage with Lady Yun and her Draconian bodyguard Oh Kum Ja. Sometime later, Sonny and Saigo hear something while on watch. They creep into the tall grass and dimly spot by moonlight three skull-faced warriors in bronze scale armor riding large stags. The Kensai and Samurai rouse their companions. Jung-Mo and Saigo hang back to guard the camp, and the others saddle their horses to investigate. Wu Ember Wild Shapes into an owl and flies ahead. 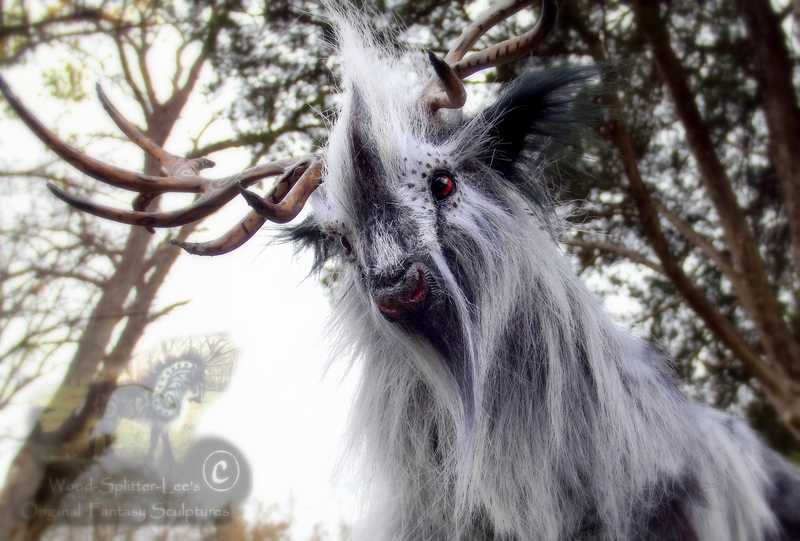 She talks with one of the stags, which are not Undead but have glowing eyes. The beast says that the “power of the night compels them to roam.” Soske’ doesn’t Detect Evil. Soske’ casts Light to get a better look, and the skeletal warriors ride around the camp. 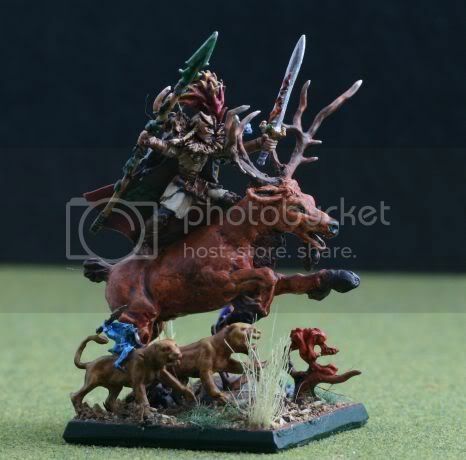 The travelers ready weapons and spells, but Soske’ hails the riders. The strange soldiers say they are guardians of a holy site looking for defilers. The Shukenja offers to help, and they ride out together. Kensai Sonny and Samurai Saigo grumble about taking on every seemingly random mission, but the team comes upon a bowl-shaped hollow with a pool at its center reflecting the starry sky. Animals gather around its perimeter, and a shimmering nature spirit appears. She greets the newcomers and temporarily confers abilities of the animals on each rider. Sonny gets the Alacrity of the Snake (2 actions per round), and Toshi receives the Might of the Caribou (+4 Str). The glowing woman grants Ember theCunning of the Fox (can reroll any skill check) and Soske’ the Fangs of the Wolf(melee attacks do double damage). The explorers ride on with the Undead sentinels, and the vegetation beneath their horses’ and stags’ hooves becomes black and swampy. Toshi identifies the cause as a ritual draining life from the area to empower some villains. Soske’ casts Ancestral Weapon, and a summoned spirit gives him an ice bow and applies the Fangs of the Wolf in return for the promise of a shrine. Four people appear atop a hill. They appear to be Shengtese humans, but they are dressed strangely. The skeletal warriors lower their lances and charge, followed by the adventuring party. A man wearing stone armor charges at two of the skeletal warriors. A naked Barbarian leaps into the air, grabbing Ember in flight and pulling at her wings. The woman wearing bark casts Warp Wood on Sonny’s items, but he manages to evade her spell. A woman in furs casts Charm Animal, wresting control of tiger Amaya from Toshi, who casts Invisibility on himself and runs. The skeletons attack the Sohei in stone but all miss. Sonny swings a chain and entangles the Wu in bark. He drags Wei Lingjuan behind his horse, preventing the evil Druid from casting spells. Soske’ fires arrows at naked Fan Kien, injuring him. Ember surprises everyone by reverting to her true form, that of a gold dragon! Fan Kien is thrown off and starts to flee. However, Xu Song’s stone plates protect him from the skeletons, and he smacks them with his club. Qiu Ping first directs Amaya to find Toshi but then redirects the tiger toward Sonny, whose flying kicks miss the fur-clad woman. Toshi maneuvers so that Fan Kien is between him and the tiger and the young dragon, whose breath doesn’t affect anyone yet. Sonny apologizes as he kicks Amaya away, and Soske’ shoots at Wei Lingjuan. Enlarged Ember pounces on the naked man, but the Yamen-ren briefly breaks free and keeps running. Ember pounces on Fan Kien and beheads him with a bite. Wei Lingjuan casts Grease but is unable to wriggle out of Sonny’s chains. Toshi casts Lightning Bolt on Qiu Ping, who is slain by Sonny. The skeletal warriors eventually get through Xu Song’s stone armor. Toshi calls to Amaya and gradually calms her. Ember briefly feels a pull to another plane and manages to revert from draconic to humanoid form without ill effect. Sonny whistles for his horse Yip, which drags the bark-clad woman toward him. Soske’ stops it and asks Wei Lingjuan why she has summoned dark magic. The defiant Druid says that even if she is killed, the Scarlet Order will continue spreading chaos. The skeletons carry out their orders and execute the defiler of nature. Sonny takes the hide, bark, and stone armor, and Toshi incinerates the corpses before returning to the nature spirit. She thanks them and offers blessings. Sonny interrupts and begs a boon — he says he would like to better communicate with his horse. I hope that everyone enjoyed our latest virtual session, and let me know if you’ll be available next Sunday, Aug. 31. Bruce, I hope your fantasy football draft went well, and we missed you! Dexter, I’m sure you would have enjoyed the cinematic and comedic moments of our encounters. 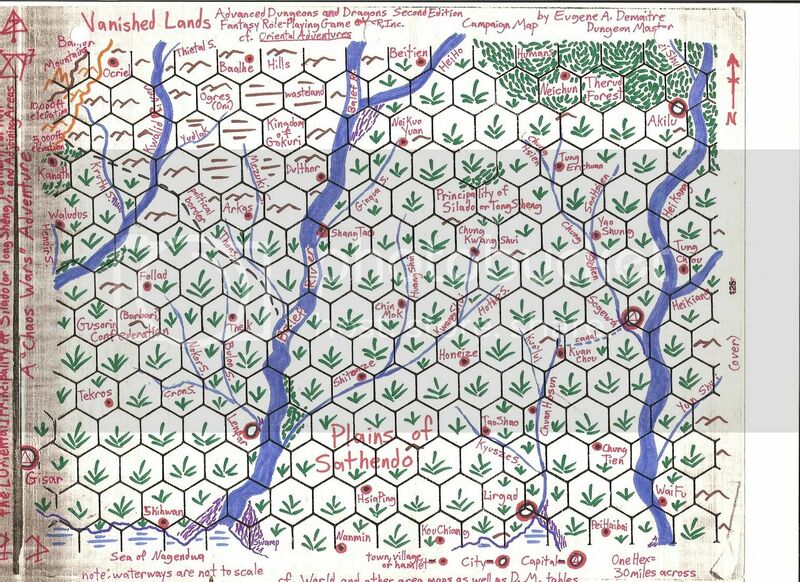 I look forward to tonight’s “Vanished Lands: Vistel’s Expedition” game at Drew’s place, and we’ll play Memorial Day by ear…. Posted on August 25, 2014 February 16, 2016 by GeneD5Posted in Fantasy & Steampunk, Games, Vanished LandsTagged AD&D1, Basic Fantasy Role-Playing Game, D20, fate, legends of anglerre, Oriental Adventures, Party 40, pathfinder, RPGs, telecom team, update. Where did the time go? 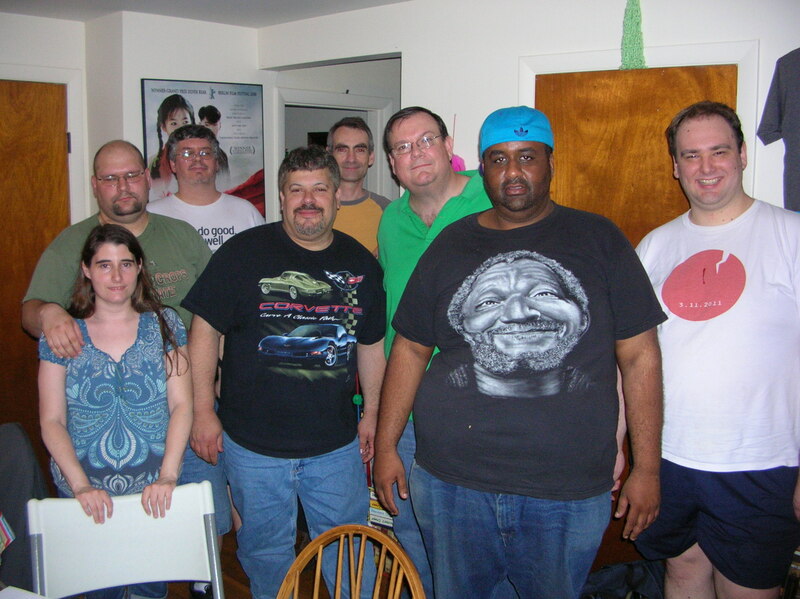 It seems like only yesterday that I was planning to blog about the then-current genre television season, the various books and comics I’ve been reading, the convention scene, and upcoming movies and tabletop RPGs. Granted, I’ve been busy with work, weekly games, and seasonal festivals, but before they all blur together in memory, let me review some recent films. On Friday, 25 July 2014, I met Jason E.R. and his son Eric for dinner at Fuddrucker’s and an IMAX 3-D showing of Hercules. We enjoyed this sword-and-sandals movie, which starred Dwayne “the Rock” Johnson. Plot: Since I had read the Radical Comics miniseries this movie was based on, I wasn’t surprised that the 12 labors of Herakles weren’t as prominent as in the trailers. In fact, the plot takes the tack that the labors were exaggerated tales of a non-magical band of adventurers. In this respect, I’d compare 2014’s Hercules with the 2004 King Arthur, but with more of a sense of humor. Johnson already proved a worthy successor to Conan: the Barbarian‘s Arnold Schwarzenegger and Hercules: the Legendary Adventures/Kull the Conqueror‘s Kevin Sorbo in Scorpion King. The Rock’s shaky computer-animated avatar in The Mummy Returns was one of the few weak spots in that pulp adventure flick. I’d also compare Hercules favorably with the over-the-top 300: Rise of an Empire (but if you like Frank Miller, just wait for Sin City 2: A Dame to Kill For). I’d even argue that Hercules was more faithful in spirit, if not in specifics, to its source material than Jason Momoa’s Conan or the dour Man of Steel. Cast: Even if Hercules‘ script is occasionally weak or predictable, Johnson is ably supported by Ian McShane as fatalist mystic Amphiaraus, Rufus Sewell as mercenary Autolycus, and John Hurt as aged Lord Cotys. Joseph Fiennes follows in his brother’s footsteps (Ralph was Voldemort in the Harry Potter franchise) as the scheming King Eurystheus. The younger actors are also decent, including Askel Hennie as traumatized Viking Tydeus (it’s fantasy, don’t sweat it), Reece Ritchie as Hercules’ kinsman and storyteller Iolaus, and Ingrid Bolso Berdal as the Amazonian Atalanta. The White Queen‘s Rebecca Ferguson is Princess Ergenia, and model Irina Shayk is Hercules’ wife Megara. Some viewers will recognize character names from Greek mythology, TV’s Legendary Adventures, or even the Disney animated musical, but this is a different take on most of them. Direction/cinematography: It’s too bad that years of computer-assisted effects have left us jaded to visions of monsters, large armies maneuvering on battlefields, and feats of strength and acrobatics. The action scenes in Hercules were generally well choreographed, and the movie was well paced. I liked the glimpses of mythical beasts, the use of phalanx and archers on chariots, and even the cheesier moments of Hercules in chains. The Steve Reeves and Ray Harryhausen classics have nothing to worry about, but it’s still nice to see a deconstruction that doesn’t completely tear down fun, larger-than-life spectacle. Rating: Jason, Eric, Byron V.O., and I all liked Hercules more than fellow role-player Rich C.G. I’d give Hercules a 7.5 out of 10, a solid “B,” or four out of five stars. This is the sort of movie I’d classify as a “gamer flick,” with an entertaining ensemble of misfits doing heroic deeds but not necessarily aspiring to subgenre greatness. I’ve heard that this movie was better than the other Hercules film of earlier this year. Although Luc Besson and Scarlett Johannson’s Lucy (more on that later) beat Hercules at the box office, I wouldn’t mind seeing a sequel featuring Johnson and that first superhero team, Jason and the Argonauts. Now, who to cast? Posted on July 31, 2014 by GeneD5Posted in Fantasy & Steampunk, Food, Games, MoviesTagged Dwayne Johnson, Hercules, RPGs, the Rock. “1 to 2 March 1227 B.C.E. :” The infiltrators continued exploring the tunnels of Mt. Tilefa on Salhonif Island. They chatted with Gargoyles and Troglodytes, evaded traps and Ogres, and fought a librarian/sorceress. They also defeated flesh golems before resting, deep in a Temple of Elemental Evil. The adventuring party recuperates from recent skirmishes in a dark vestibule. 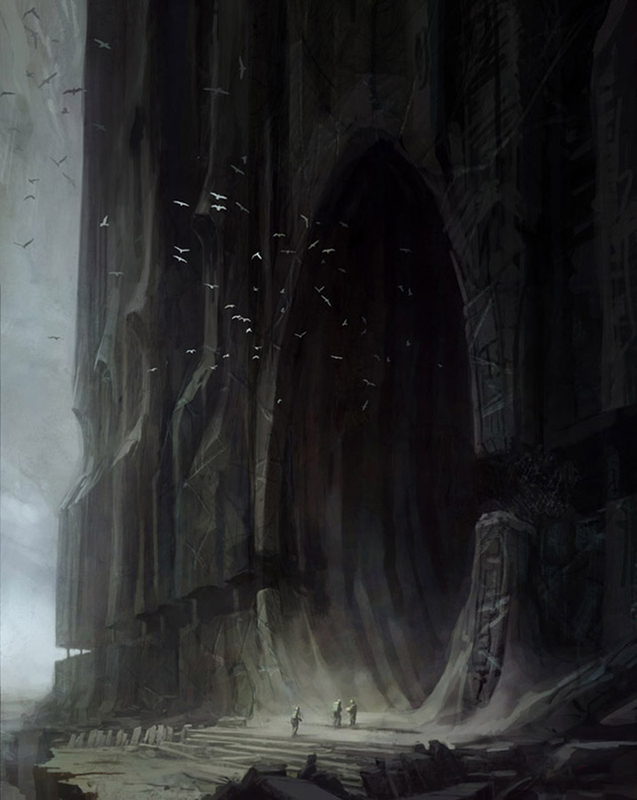 One passage has doglike figurines on pedastals and Walls of Force, another leads to a hexagonal chamber with a black orb, and the last leads back through a purple-carpeted passage with statues in alcoves. Giacomo manifests a third eye to peer around, and Hamfast looks at three levers behind a curtain on one wall. Scully looks for illusions with the Lens of True Sight, while Tempestade keeps watch. 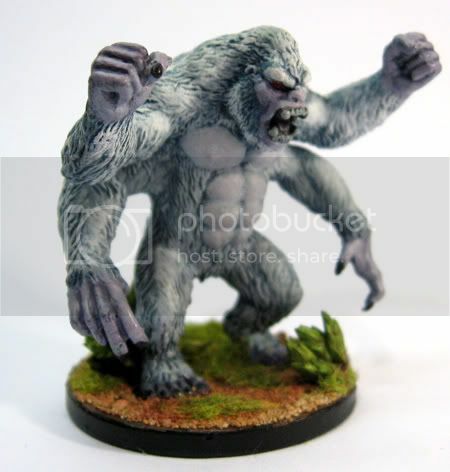 Corwin dismisses Herme, the Girallon (four-armed gorilla) he had charmed, and searches for traps. Elsa also tries to decipher the switches. Despite his companions’ warnings, Hamfast pulls on the left lever. A stone column rises out of the floor near the door to the hexagonal room. The middle switch raises a second column next to the door. The Zeda human resets the first two levers and pulls just the third, and a horn sounds. As Gnoll Scully predicts, when the three levers are pulled from left to right, a portal appears between them, obscuring the unholy shrine with the dark cyst. Giacomo and Corwin step through first and are attacked by three Wights. Half-Elf Corwin casts Fireball, damaging the Undead, but he is weakened by their chill touch. Hill Dwarf Elsa Wild Shapes into a bird of prey, and Hifalendorin human Giacomo destroys all three Wights with Magic Missiles. Elsa flies up with a rope, and the group climbs out of a volcanic crater. Unfortunately, two huge reptiles are waiting for them — strange crossbreeds of dinosaurs (found in Salhonif Isle’s jungles) and black dragons! One dracosaur breathes acid, burning Hamfast and Scully. Tempestade uses hisRing of Jumping and Boots of Spider Climb to get on the monster’s back. Pious Elsa invokes goddess Mekkil (Gaia) for a Healing Burst to aid her companions. Giacomo shields the team with a Wall of Force, and Corwin’s Disintegrate injures one of the creatures. Scully uses the Lens of True Sight to discern that the larger dracosaur is more like a dragon and the other is less intelligent. Hamfast swings his maul at the leg of the winged beast. The dinodrag grabs Hamfast in its mouth! The Fighter narrowly avoids being swallowed whole by keeping the haft of his hammer in its jaws. 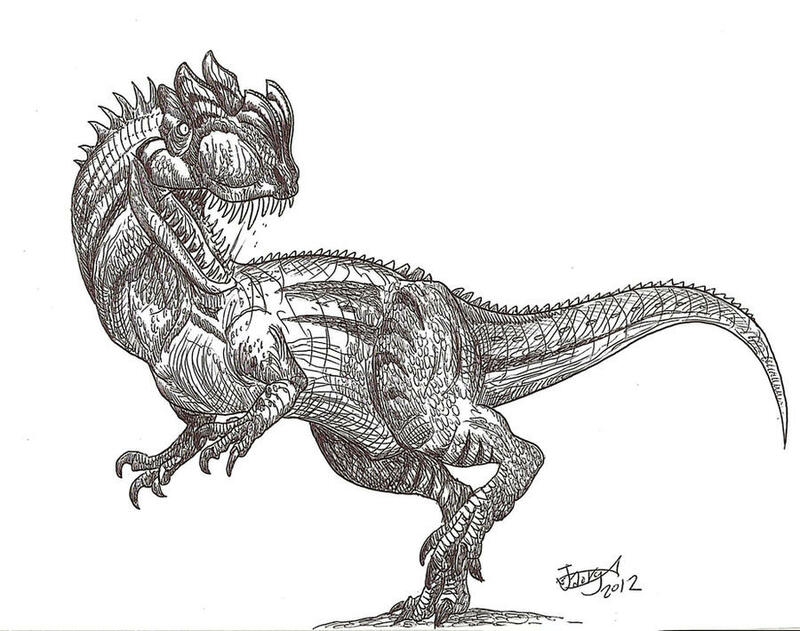 The dracosaur with Tempestade on its back yells at the martial artist and claws at Scully. Tempestade chokes the creature with his chain, and Druid Elsa Wild Shapes into an elephant. Wizard Giacomo casts Ray of Enfeeblement on the reptile holding Hamfast, slowing it. Bard Corwin defensively casts Mirror Image, creating four duplicates of himself. Ranger Scully looses a volley of arrows, and Hamfast pulls himself clear of the toothy maw and backs up with a spear. The dracosaur strikes Corwin’s duplicates, as the dinodrag swings at Elsa. Tempestade continues choking the latter lizard and jumps clear when elephantine Elsa charges and knocks it down. Giacomo successfully casts Paralysis on the dinodrag and Magic Missile on the dracosaur. Corwin hits with his sword and dagger. Scully shoots more arrows, and Elsa tramples her foe. Hamfast cooly finishes off the two creatures and claims some teeth. Gerald, Giacomo’s homunculus familiar, removes the dead dinosaurs’ eyes, and Scully takes some hides. She and Sir Torrel attend to the wounded. Elsa spots a concealed door, and Corwin finds a polished stone set in brass like a knob on the opposite wall. Corwin puts the knob on the door. The Saganim prince barely dodges a spike trap. A man wearing a horned helmet and a loose robe floats toward the spelunkers. He says that they will soon serve his master, the Pit Fiend Schm*ckF*ck, or realize their worst nightmares. Before the cultist can cast any deadly spells, Elsa restrains him with Hold Person. Corwin ties a rope around the hovering man and pulls him down. Hamfast, Scully, and Tempestade help disarm Tychon Doomdreamer, and Giacomo tries to blind him with Color Spray. Further interrogation reveals that Tychon is insane and homicidal, and Corwin dispatches him. The devil worshipper’s possessions include a censor and three balls of odiferious incense, a potion of Haste (given to nimble Tempestade), and enchanted full plate (+2, claimed by mighty Hamfast). Cautious Giacomo puts 30 crowns (gold pieces) in the party pool, and Elsa studies an unholy symbol of a crescent moon or horns with a bloody spike. Perceptive Scully notes that the party still needs to find the contract binding Lady Shadira, an Efreeti trapped in Shambling Mound form. Tempestade had promised to help free the devil’s slave as part of his quest to return his distant homeland via a magical obelisk in the barbaric port of Gisar. Corwin turns the knob to the left, and the door opens into a well-furnished room, probably Tychon’s quarters. Giacomo ignores the tattoo of “Mad Mage” Ezra on his back and claims the bed for a nap. The others search a dresser and chest. They find 450 crowns, an ornate bracelet worth 240 g.p., and a potion of Darkvision. Corwin uses a wand of Dispel Magic to circumvent wards on a case containing scrolls of Commune, Heroes’ Feast, and Raise Dead. Under a false bottom in one drawer, Scully finds the insane Cleric’s journal and a partial map of the volcanic warrens. Hamfast recommends resting in the room, which is hidden and defensible. The spellcasters recommend trying to turn the knob the other way and find a passage leading to other parts of the Temple of Elemental Evil…. Alex, we miss “Sir Torrel,” but we wish you luck with work and your Saturday group! 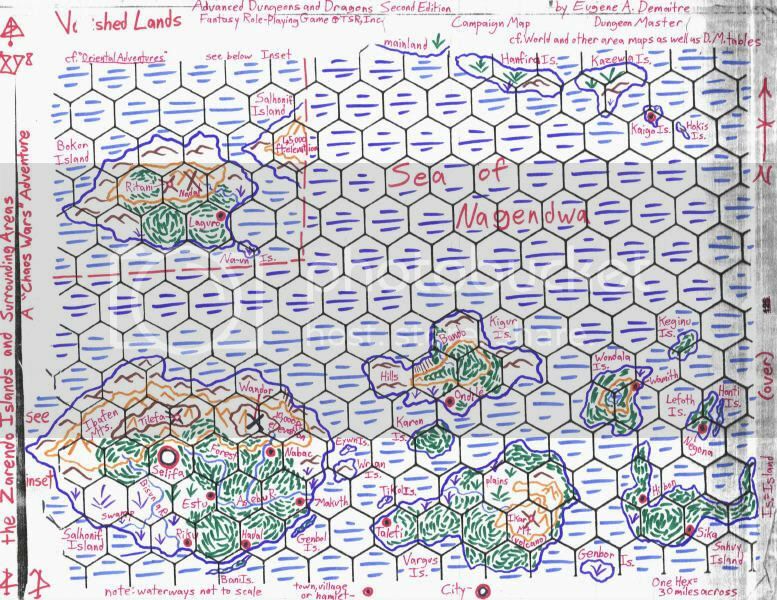 While I won’t be running the “Vanished Lands: A New Dawn” telecom game this coming Sunday, April 20, I look forward to seeing some of you next Monday night. 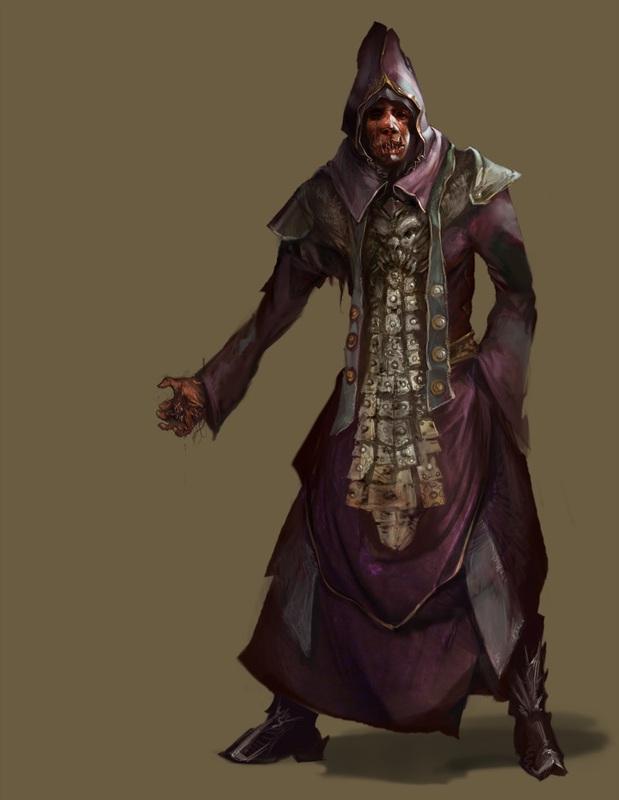 Posted on April 16, 2014 by GeneD5Posted in Fantasy & Steampunk, Games, Vanished LandsTagged Basic Fantasy Role-Playing Game, fate, legends of anglerre, Party 39, RPGs, Temple of Elemental Evil, update, Vistel's Circus.